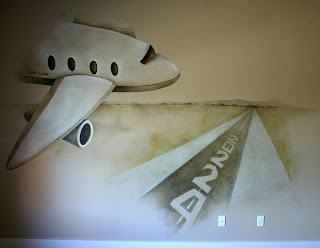 A kid's room mural I recently finished. It features a plane landing and has the child's name on the side and the runway includes his birth date= 4/ 22/ 02. Concept originated by Pam Sturgill and Rhonda Canales.